Last week, I signed up to run The Good Life Halfsy. 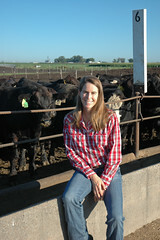 My favorite farmer thinks that I am crazy and my favorite blonde cowgirls are claiming that my mental status has been in question for years; but there are a variety of things compelling me to complete my first half marathon. The first, and most important, is that Ashley Grace asked me to do it with her. My favorite brunette begins her senior year in high school this fall, and I am incredibly excited to be able to share this experience with her. While we will not really run it together (she will cross the finish line well ahead of me), it is a mother/daughter bucket list item. The second reason that I hit the “go button” on the registration form is simply that I can. For the first time in 13 years, I am physically strong enough to finish the race. To be completely honest, this race is a mental (as well as physical) stretch for me. However, I believe that it is a symbolic event as I celebrate a level of health and fitness that, during my years with active Graves Disease, I worried I would never again attain. I recently wrote a blog entitled Life’s About Never Giving Up. In a number of ways, this race will be living proof of my words. It is a difficult challenge to lose your health. It is often a long journey to regain strength and fitness. But, there is an awesome sweet spot to find as you pack your FAITH along the healing process. I’m hopeful that sweet spot will make a strong appearance the morning of the race as my main goal is to complete the half marathon with a smile on my face and peace in my heart. I hope to have many great moments over the next five months as I train and prepare for the race; but what I most look forward to is seeing the pride in my daughter’s eyes as she hugs me on the finish line. I believe that setting goals and working to achieve them gives life purpose. I believe that accountability empowers integrity and results in making good decisions. I believe that in all of my life journeys, the one that I take as a parent is the most important. I live in a house full of teenagers. My girls bring me intermittent bouts of joy and exasperation as we make our way together as a family. They are both my greatest pride and my best challenge. What we build together provides life’s greatest blessing. Fear is real. It is part of being human and affects the decisions that each of us makes every day. Acknowledging it empowers you to deal with it and ultimately move past it. Setting goals that are challenging, yet achievable is one of the best ways to keep fear under control and gain confidence on the journey. Although that night at the dinner table I wondered if my mentoring was flawed, the maturity and fortitude that my daughter went on to show in the next two Cross Country seasons demonstrated that we were both on the right path. 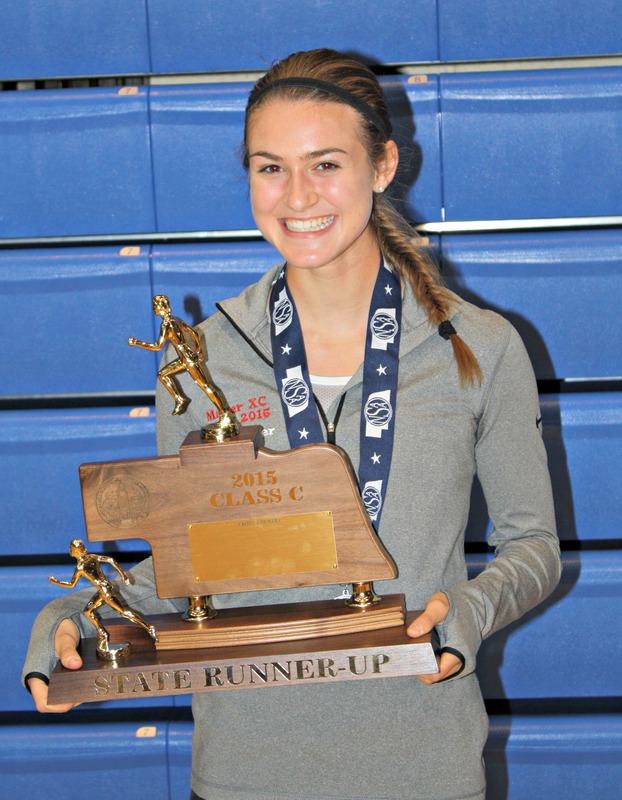 She ended both seasons as the lead runner on the respective XC squads helping to bring home the runner up team medal in 2015, and garnering an individual medal in 2016. While she would likely tell you that the hardware was her greatest achievement, I would argue that learning to set goals and finding the personal strength to hold herself accountable for them creates her greatest accolade. Over the last 18 months, I have watched her dig deep, over come adversity, and persevere with greatness. This weekend, I will watch proudly as she competes in her first 1/2 marathon. Completing the race accomplishes a long term goal and checks off a bucket list item. She loves to run, and I love to watch her love to run. Finding the appropriate balance as both her parent and her coach provides my greatest accomplishment. While I want her to find success more than anything in the world, I realize that success only holds meaning when she learns to do it for herself. From finding the personal discipline to get through the daily grind to daring to dream and packing her faith to go after it — that’s what makes her a winner. A college friend introduced me to the book, In These Girls, Hope is a Muscle, by Madeleine Blais more than twenty years ago. Based on an Amherst Lady Hurricanes high school basketball team in the mid-1990’s, the book is a tribute to hope, respect, and dedication to team. My friend was a member of that team, and her story influenced me greatly as I began my adult life. Prior to this fall, I had not thought about the book in many years, but the 2015 Lady Haymaker Cross Country team brought those memories back full circle. A small team, led by an awesome coaching staff, defied the polls and walked away with numerous titles. 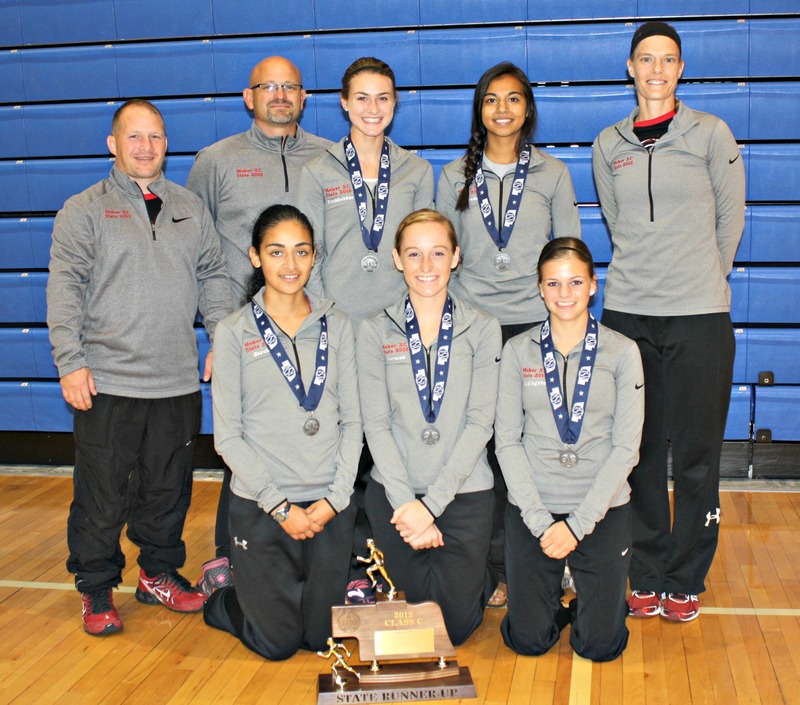 Their accomplishments included bringing home the Nebraska Class C State Runner-up trophy last Friday. In Nebraska, Cross Country teams run 6 and score 4. Due to injuries, the Lady Haymakers ran 5 and scored 4. Demonstrating an impressive display of “pack running”, the top four girls finished the 5k race within 15 seconds of each other. 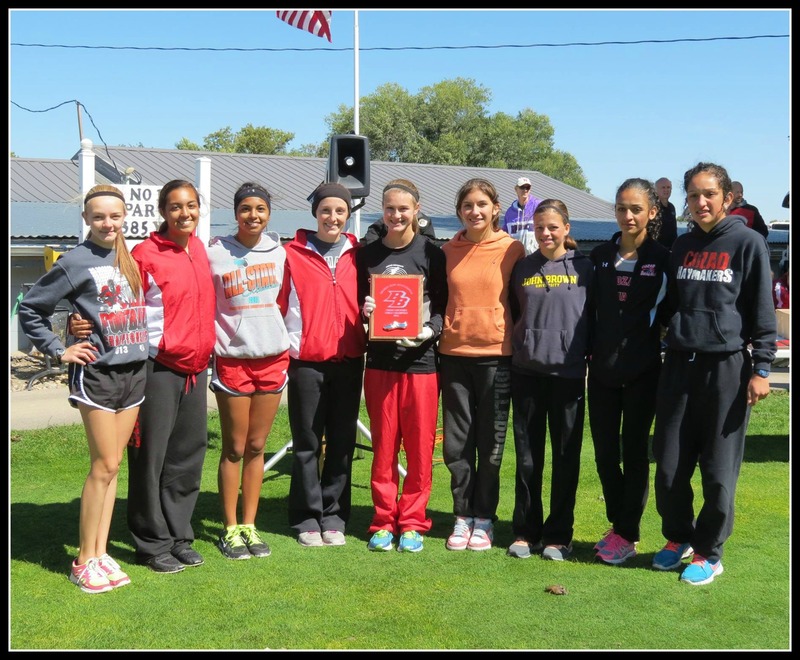 Despite the fact that none of the girls received individual medals, their accomplishments garnered them the Runner-Up team trophy. 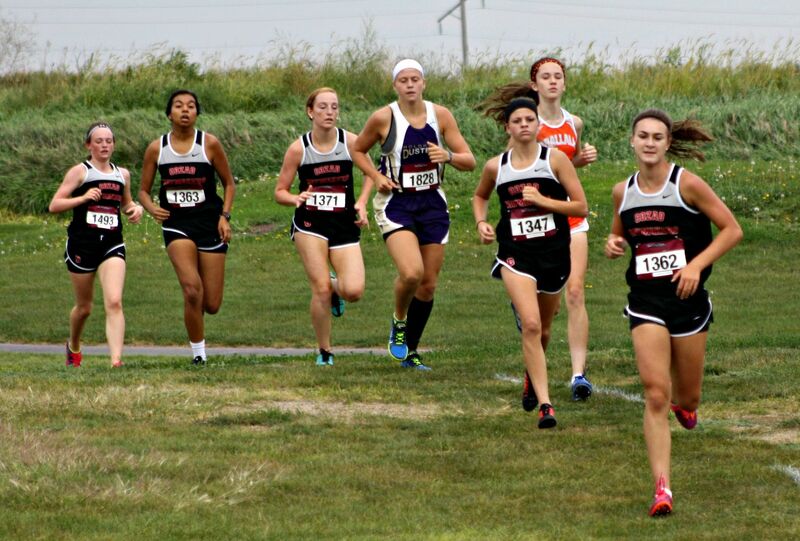 While there are many things about the state race that I will forever take with me, it is the look of determination on each girl’s face that warmed my heart the most. They had a goal. They believed. They trained. They built the muscle of hope just as they built physical fitness. My oldest daughter led the team as each member competed with character, love for one another, and a deep respect for the sport. While the trophy that brought tears as well as smiles will now live in a cabinet in the Cozad High School, the joy that comes from building the team will travel in all of their hearts for the rest of their lives. 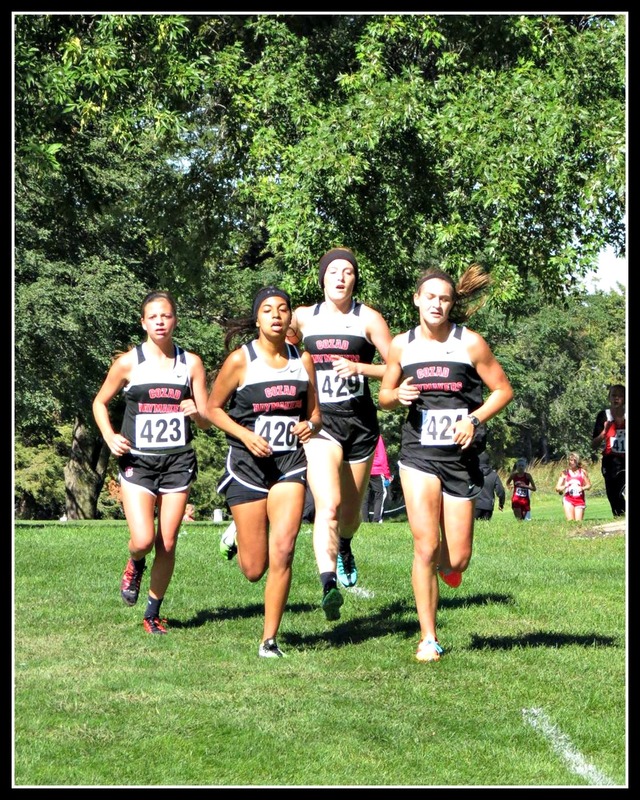 Haymaker Cross Country personifies a culture of excellence. The positive mental development of the athletes provides the true beauty of the program. 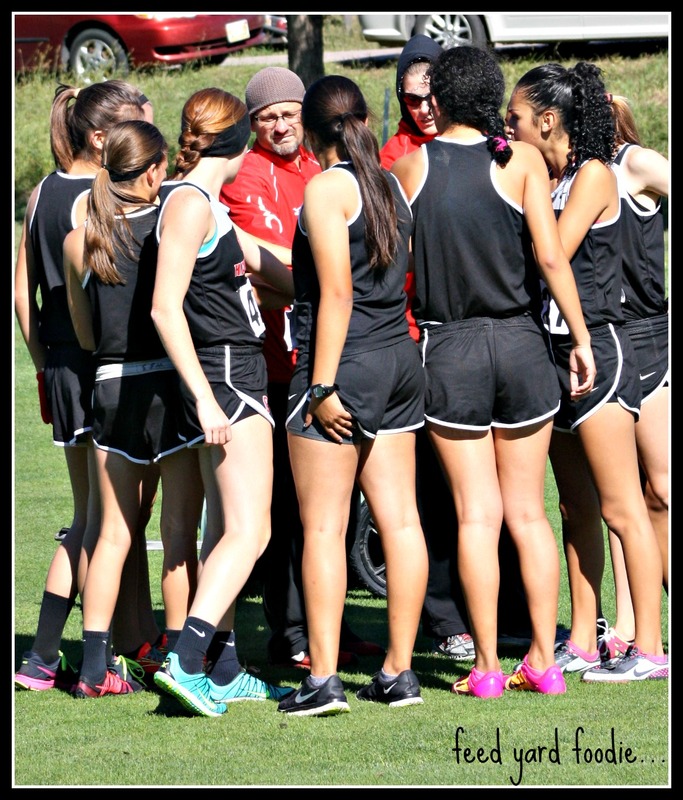 Somewhere in the thousands of training miles under the leadership of head Coach Dustin Favinger, a bond is forged among the runners that transcends the physical. 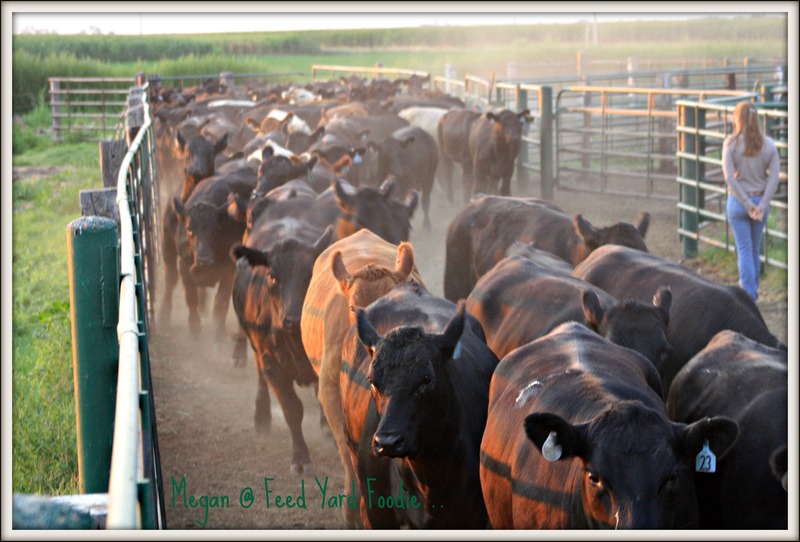 Throughout the season, I watched the girls “fill in” for each other during the races. They packed up tightly, running together and feeding of off the muscle of hope that beat deeply in their hearts. 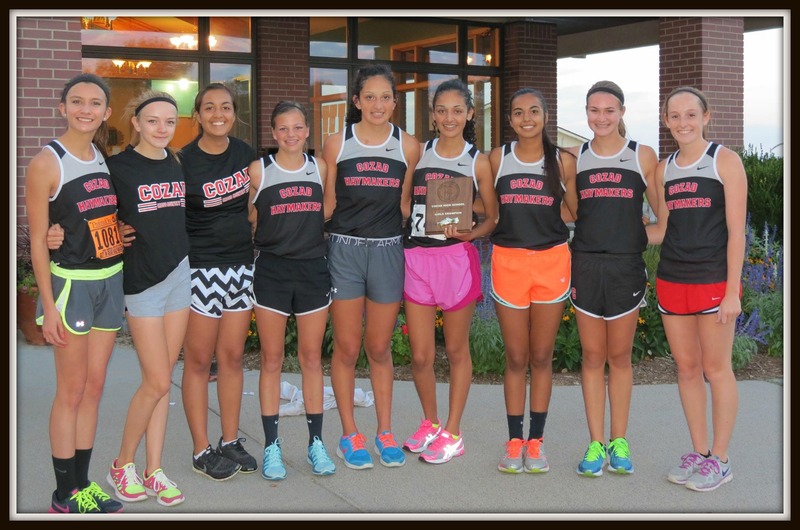 The girls tenaciously battled challenges, always determined to accomplish the prized end goal: a state team trophy. As a parent, I cherish the life lessons that Ashley Grace learns pounding the running trail in search of excellence. Comraderie, self-discipline, and confidence all tie together creating the realization that true success occurs when selfless individual efforts forge together to create a team. 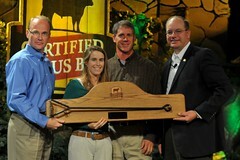 I will never forget the smile on her face as she proudly held the trophy. It is the smile that results when hard work, determination, and hope provide the promise of victory. 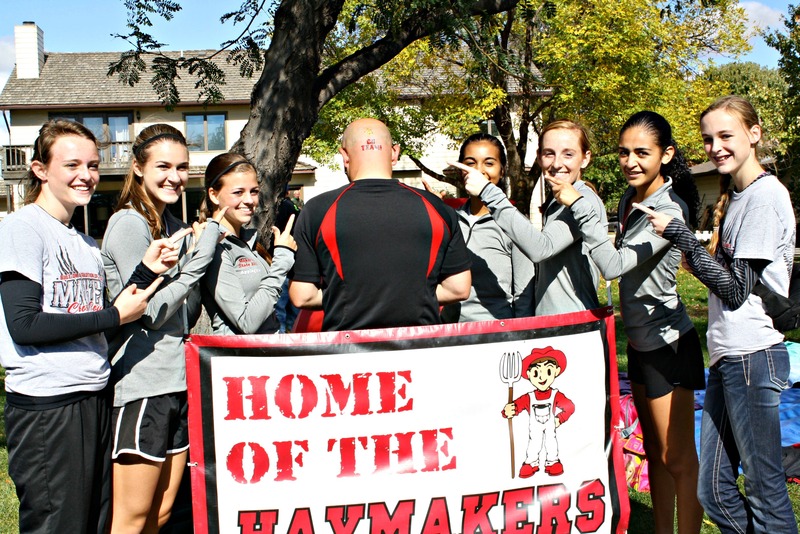 That is the recipe for excellence – That is Haymaker Cross Country. My favorite 9th grader and her Cozad Haymaker teammates brought home the team trophy last night at the first Cross Country meet of the season. Ashley Grace earned the 6th place individual medal in the varsity girls race with a time of 21:22.6. 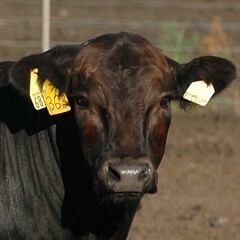 She’s fueled by beef and tenacity —Have you had your steak tonight?